Are MP3 Blogs Under Attack? "I’ve been a non-RIAA reviewer for over a year now…That used to be a safe approach…A few weeks ago, I posted a collection of covers of songs from the 1980s. 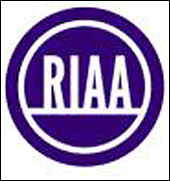 To my knowledge, only one of the artists featured in that post had a connection to the RIAA. That was Chris Cornell. But the song that I posted was a live recording, not commercially released. Nevertheless, the post mysteriously disappeared from my site. Over the next few weeks, this happened twice more. Blogger, my host, has been utterly silent on the issue. I am not alone in this – it’s happened to some of the best bloggers out there, like Ryan’s Smashing Life, and So Much Silence. Then, an 11-month-old post from my WordPress site got dinged…(They) told me who the DCMA notice was from. It was from the IFPI…The post was on a band that was independent when I wrote about them, Wild Sweet Orange, and contained only one mp3, which was hosted by RED…In other words, it was a legal mp3." If trade organizations handcuff mp3 bloggers, they run the risk of destroying one of their most effective viral promotion outlets.